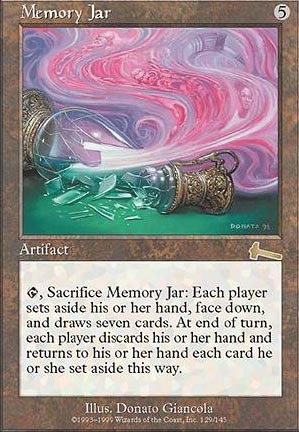 , Sacrifice Memory Jar: Each player removes his or her hand from the game face down and draws seven cards. At end of turn, each player discards his or her hand and returns to his or her hand each card he or she removed from the game this way. 81 decks jouent cette carte.